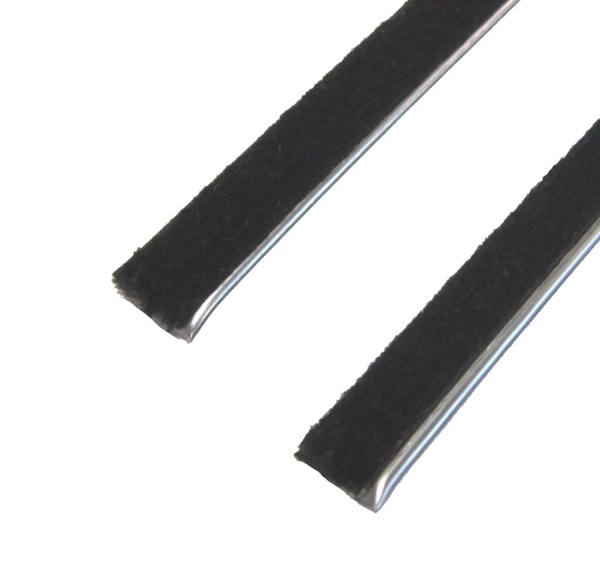 Weatherstrip, glass anti-rattle. 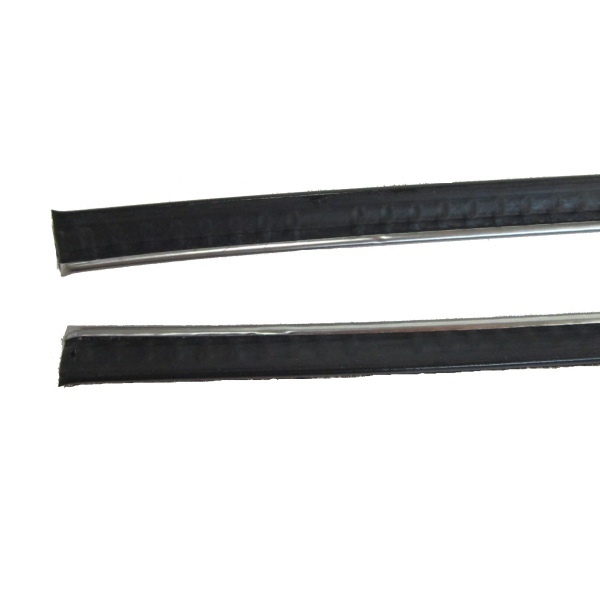 Used for side window inner and/or outer, front and/or rear doors. 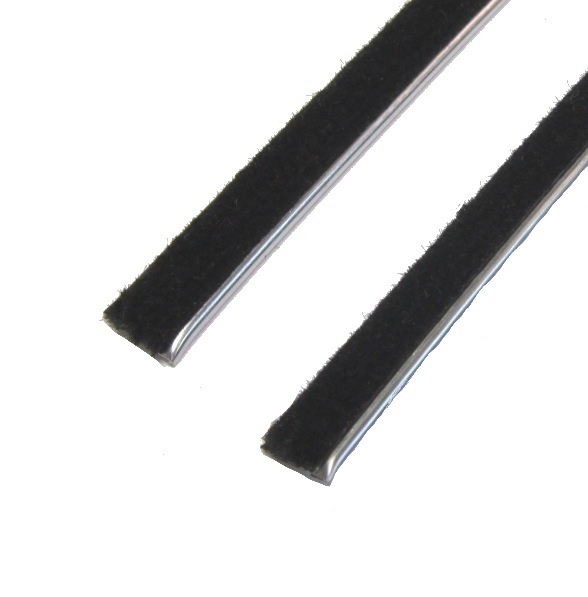 Seven sixteenths (7/16) inch wide, with chrome bead, mohair faced, flexible. 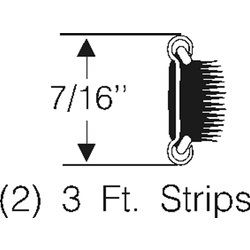 You will be receiving a pair of strips that consist of two (2) three (3) foot strips that you may need to bend and trim ends to fit. Note: You will have to attach using whatever method is appropriate for your vehicle such as emulating a staple or using tiny smooth-headed screws (neither supplied). 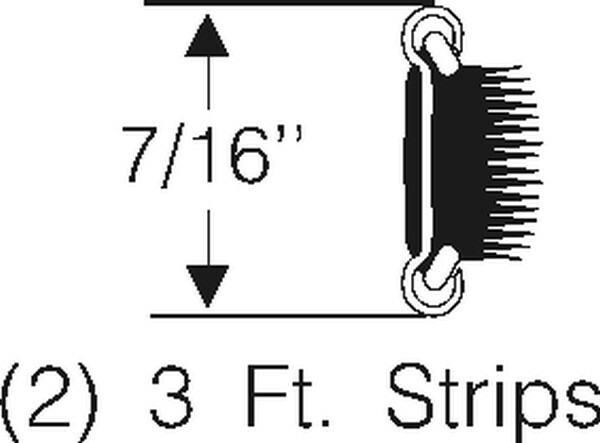 For a single six (6) foot strip see our part #70-0353-78.